It's time for another Ultimate Blog Party over at 5 Minutes for Mom. I didn't participate last year because I had just given birth to a beautiful baby girl. This year, I thought I'd jump in on the game. First, let's start with an introduction and then we'll move on to the giveaway(s). You will be the same person you are five years from now, except for the books you read and the people you meet. I believe that to be true. Books can be entertaining and sometimes they need to be. Whether or not a book intends to be exclusively a vehicle for entertainment, it is absolutely expressing a world view which the reader must wrestle with. Books open up the world to us in so many ways and change who we are as people. They are of great importance and therefore I blog about them. As I mentioned, I am a stay-at-home mom to three children - two boys and one girl. My oldest boy, Bookworm1, is 5. Bookworm2 is 3 and my youngest daughter, Bookworm3, will be 1 year old next week! I read and talk about a variety of books on this site for a variety of ages and I've been extremely blessed to make a good many friends doing so. If you'd care to join in on the conversations, we'd be more than happy to have you stick around. I have a few favorite authors I like to harp on about: Lucy Maud Montgomery and C.S. Lewis. Every January I host the Lucy Maud Montgomery Reading Challenge and every July I host the Chronicles of Narnia Reading Challenge. If you are interested in participating in either, I hope you'll do so! Now moving on . . .
Because this is a party and we do intend to have fun with this, I'll offer up a few "party favors." 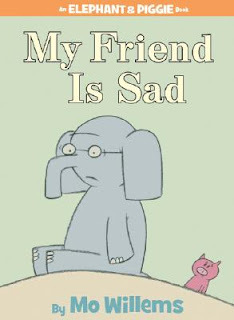 My boys really like Elephant & Piggie books by Mo Willems (linked to my thoughts) and I just so happen to have a couple spare copies of the following titles to give away. 1. Simply leave a comment below. Be sure to leave a valid e-mail address for me to contact you at. If you do not leave an address (and I don't know you) then I will choose another winner. Must leave an address! 2. BONUS PARTY POINTS: If you are subscribed to Reading to Know feed in your Google reader (or wherever) OR follow Reading to Know on Facebook, you can leave a second comment in order to be entered twice. You must be a U.S. or Canadian resident in order to be entered into the contest. This contest will be open until the close of the Blog Party, Friday, April 20th. So wonderful to meet you! Here for the UBP2012! Glad to meet you. Great blog and I love to read too. Happy Ultimate Blog Party 2012. I would love to win these to review myself and then pass on to my niece, who is almost 3. I'm here from the UPB. I'm a follower through GFC and Facebook. Stopping by from the UBP- I really like your blog. 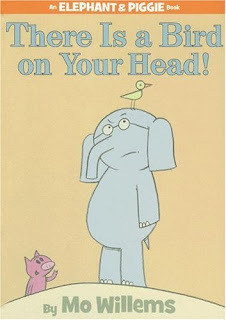 I have never heard of the Elephant and Piggie book series, but they look like lots of fun!! I'm here from the UBP.....great blog.....we share an addiction.....books! Elephant and Piggie?!?! I need those! I too, regret the lack of food munching together over the internet. :) You know I love these books! We don't own any! 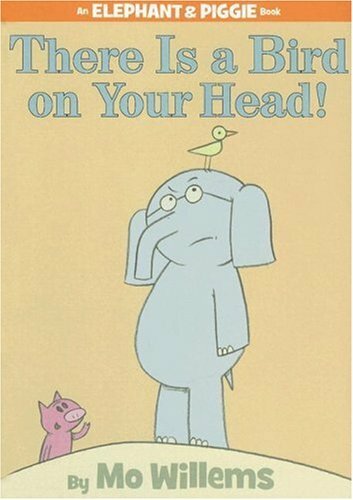 We've never read There Is a Bird on Your Head! Must find it soon! Visiting from UBP12 - fun to read your post. Books are such a great outlet for a stay-at-home mom, and for anyone. I love to read, as well! Hi Carrie!! I haven't been around much over the past couple of months. So glad to meet your through the UBP. Happy party day. So glad you joined the party! I love to read and probably love books more than reading them. I think they're beautiful and smell amazing. LOL. I'm sorry I just missed your LMM challenge. I really like her. We had the privilege of visiting her home while in P.E.I. a few years ago. It was an experience I will never forget! So happy to meet you! I'm an avid reader myself, as are my hubby and kiddos too. Beautiful blog you have here! I'll be sure to subscribe before I leave. Oh my goodness! I LOVE Elephant and Piggie!!! Happy to have met you via the UBP! Love the book giveaway, too! Really excited to have found another mom that loves books and reviews!! I look forward to reading future posts! How cool are you!?! I never thought about reviewing books as part of my blog, but I love to read. So no I'll just have to subscribe so that I can be kept up to date on all the best new books. Thanks so much. Visiting from UBP. I am a bookworm too! I love the feel of books, the smell of books, and the content too (ha). Unfortunately, I don't have the alone time to read much, but when I can -- I love to hide with a story by Francine Rivers! I'd love to be entered into the drawing. I have a 4 year old and she loves books too. longwaitforisabella at gmail dot com is my email address. I have a reader that would be SOOOOO EXCITED to get some of these! Nice to visit your blog...I'm new to UBP and checking out the other great blogs. I totally identify with your comment about your writing improving over the years. Isn't it good that God improves our gifts as we use them! Great blog. Just popping in from the UBP. I too love LLM and CS Lewis! My favorite LLM is the Blue Castle. I don't think it's very well known outside of Canada, have you discovered it yet? Hi there! Stopping over from UBP. Nice to meet you. I love to read, too. Just ask my kids. I seem to always be running out of bookshelves. Just added you to my reader. Hi Carrie! Great prize! I'm popping by from UBP2012 to say hi! found your blog through the blog party! I love books so i'm looking forward to reading your reviews and maybe finding some new books to read. visiting from UBP12. I luv books! Will be revisiting your book nook. Visiting form the UBP! Love to read, too! Just finished And the Shofar Blew. Have you read it? Francine Rivers. Really good! Ever host guest bloggers? My daughter and I are hosting our first reading challenge. We may have to stop by and check yours out - and add to our list of ones we are already doing lol. And of course you know I'm a subscriber! Thanks for stopping by my blog! I am enjoying yours-love books! 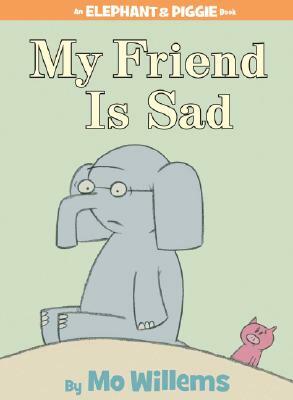 My girls like Mo Willems and we don't have these. Thanks for the chance to win! Dropping by from the UBP. I also love books and blog about them often. I'm following you now! I love C.S. Lewis. We might have already talked about this. It's getting late. :) Glad I finally made it over though. I just wrote a blog post on writing to know. I'm excited about the giveaway too because my kiddos love to read. Oh and I liked your Facebook page!